The digital signage industry has a way of wooing us with its magic. As digital signage continues to make strides in its popularity, innovation is making it a force to be reckoned with. This year, the big show for digital signage, the 2018 Digital Signage Expo in Las Vegas, didn’t disappoint in displaying what is up and coming for the industry. 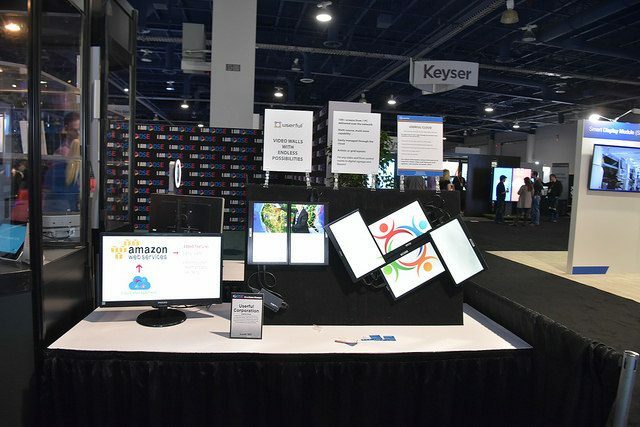 The expo seemed to showcase three main digital signage trends that we should all pay attention to this year: improved content management, the rise of smart cities and an overall increased used of the Internet of Things. Let’s discuss these digital signage trends and what they mean for business. When you think about managing your content within your digital signage, what do you think of? Does your mind go to switching out content now and again? This year, the expo held promise for new and innovative ways to manage content, not just change it. Content should be managed to understand the impact of it to boost the return. This is where your content management system comes in. Innovation such as Scala’s new analytics tool allows businesses to gather insights into their marketing. How long did a customer interact with the display? This can be answered using new analytics, creating a deeper understanding of the marketing aspect of business. The future is here with smart cities. In fact, many vendors at the expo were showcasing their smart city solutions such as better-quality Wi-Fi providers and wayfinding solutions. As cities become more crowded, cities are looking for ways to use digital signage to create tools to meet increasing needs. Some of these tools are being created to analyze movement patterns to improve traffic. Cities are developing smart kiosks to aid in residential needs such as location, emergencies and more. However, the bigger picture here is a city’s ability to take the data they receive from these tools and improve the efficiency of the city as needed. As smart cities gain speed, businesses will need to scale up their technological ability to remain competitive. Businesses can up their customer experience game by taking advantage of these new digital signage trends long before a smart city becomes a reality. The Internet of Things is taking over every aspect of business. There were several vendors at the expo that were offering innovative products that use the IoT in a whole new way. For example, some companies displayed devices that could interact with displays. These devices such as those created by Zytronic that allowed customers to use a touch table to display information about car dealerships, are showing us just how much focus is on the customer experience. For business, the IoT mixed with digital signage has the ability to create a completely immersive experience between your products and services and the customer. The IoT gives businesses the ability to connect with consumers directly, creating a unique relationship that traditional marketing just cannot offer. This year, technology is changing in every area. However, digital signage is moving from simple display to interactive content quickly. One thing is for sure, there is no end in sight. Your business can take advantage of these digital signage trends by implementing them today. For help reaching your goals with digital signage, contact New Era Tech for a consultation today. This article was written by Marina Gregory and originally published on New Era Technology.